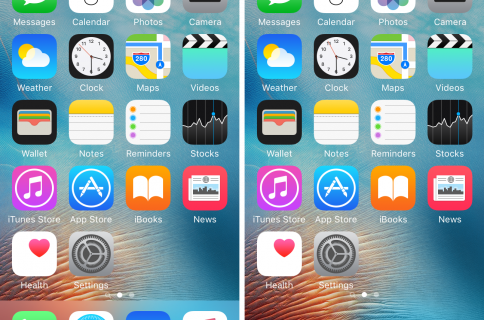 If you’ve got a lot of apps on your Home screen and hate looking through them all, then check out a new free jailbreak tweak called AppSort, which just hit Cydia, and will let you sort your Home screen app icons with ease. 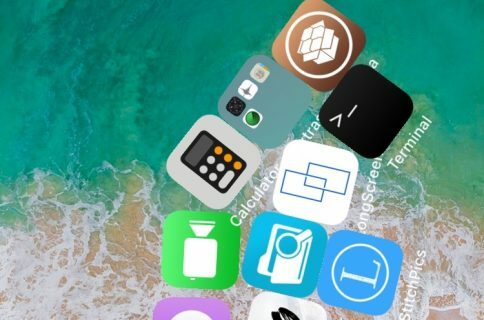 AppSort is a jailbreak tweak that offers users a quicker way to sort the apps on your Home screen so you don’t have to spend any of your time sorting them for yourself. 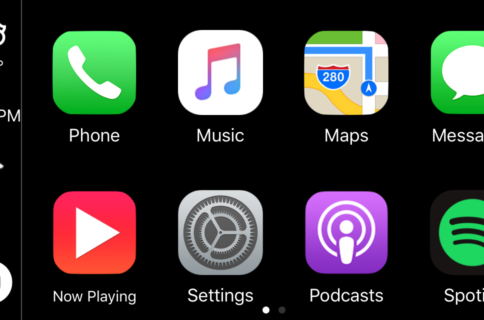 The tweak lets you use Activator to reveal a menu full of options; the options allow you you to choose a criteria for how your apps will be sorted on the Home screen. Because some users have many apps installed, going through and sorting them manually can sometimes take a really long time. With AppSort, this process will take just a couple of seconds. 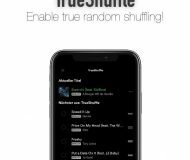 All you will do is invoke an Activator gesture of your choice, and then tap on a sorting option from the menu that appears; it’s that simple. Although it seems like a limited list, it’s far from limited. Anyone with knowledge of the Lua scripting language can create additional sorting criteria to use with AppSort. The developer includes information and documentation about creating scripts with Lua in the tweak’s preferences pane from the Settings app, along with a place to choose an Activator action that you’ll use for invoking the tweak on demand. 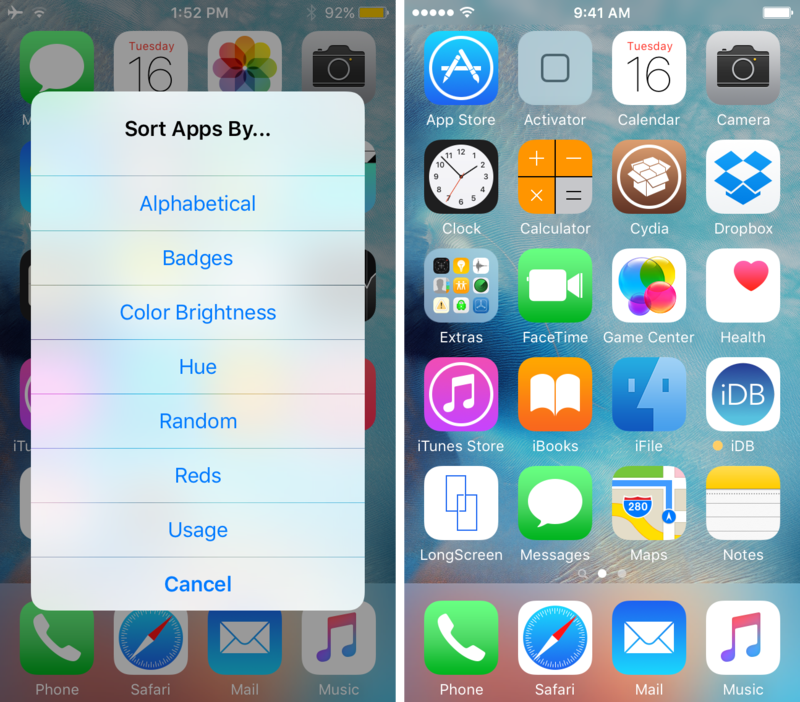 AppSort is a tweak that you may find helpful if you have a lot of app icons and don’t want to spend the time sorting your apps all by yourself. I think the alphabetical option in particular will be useful for some people who want to find their apps faster on cluttered devices, but I can also think of some weak points in the tweak as well. For example, there’s no way to go back to a recent layout. Any sorting that you do is permanent unless you choose a new sorting method or manually move your apps back to how you had them. Another weak point I see is there isn’t a way to anchor certain ‘favorite’ apps where they are currently, so even if you like having certain apps on your front page, they’re going to be moved with the rest of your apps no matter what and you’ll have to change that manually later. One of the strong points of AppSort that I like is that users can create their own Lua scripts for the tweak, which means we should be seeing third-party support for this tweak in Cydia in coming months or weeks that will provide additional sorting options. Is it for everybody? – No, but it’s a really cool tweak that some jailbreakers with a need to sort their Home screen apps might enjoy using. With AppSort, you can quickly sort the app icons on your jailbroken iPhone’s Home screen based on a certain criteria after you invoke a specific Activator action. Although there are many presets to use, you can even create other presets to use instead, assuming you have the skills to create Lua scripts. AppSort is a free download from Cydia’s BigBoss repository. What are your thoughts on AppSort? Share in the comments.